Clients need to bring a photo I.D. and a current piece of mail (such as a utility bill) to receive food. Review Client Services – See what we offer and how to qualify. 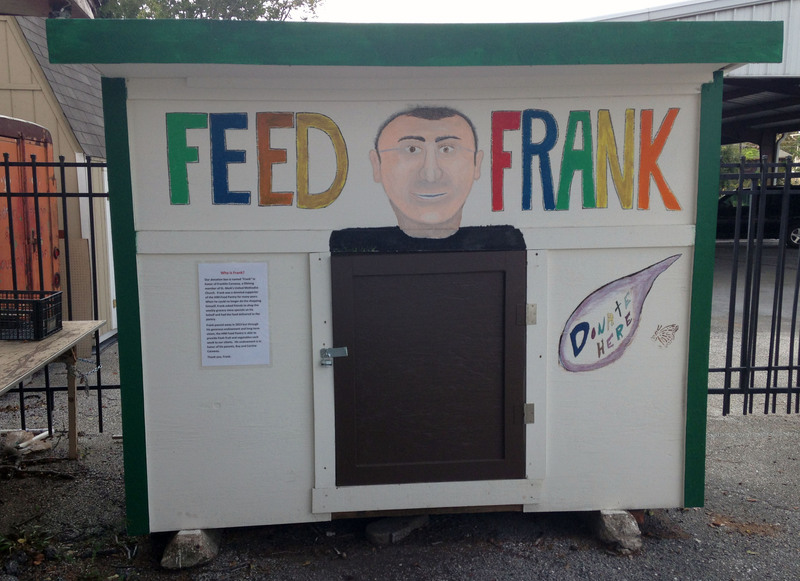 Drop non-perishable food, toiletries and used grocery bags in the Feed Frank donation box anytime.